Life in the Clouds: To Cooperativa and Beyond! Had I been one of the second graders, sitting there staring down that menacing set of oversized demonstration teeth, I would have been terrified. It almost looks like if you get close enough, the demonstration teeth could easily bite off your hand. But, much to my amazement, the kids in our class showed few qualms about marching on up to the front of the room and giving the false teeth a good pretend brushing! Last month marked the first dental hygiene lessons in our recently launched health program. Kat, Ginny and I worked with first and second grade students at La Primaria Central and taught them about how to take care of their teeth, why it’s important, and how it can be fun. This month we will be working with third and fourth graders, and next month we’ll finish off the dental talks with the fifth and sixth grade students. Jared’s dad, a dentist, generously donated enough dental supplies for all of the students at the primary school in Central, and we are handing out after each dental hygiene talk (thank you, Dr. Stepp!). So, each child will receive a toothbrush, two tubes of toothpaste, a two-minute timer, floss, a pencil, and a rubber toy frog, which was of course the favorite item in the goodie bag. Even more awesome than the rubber toy frogs, we now have plans to expand our health program to the primary school in Cooperativa beginning in May! Through this expansion, our health program will reach approximately 400 more students. As we continue to work on creating a program structure, curriculum and activities, all is being planned with the idea of keeping things relatively simple and easily replicable. 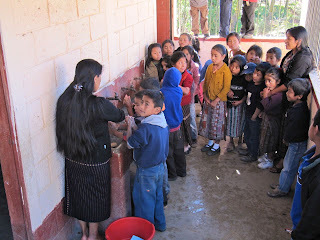 Thus, expanding to a second school is not completely overwhelming but instead exciting and full of opportunity. Not all comes without challenges, however. One of the most pressing concerns we have about the health program is how to obtain materials like toothpaste and floss that we would like to give out to all of the students after each lesson. Because the kids are generally ecstatic to get these samples, the supplies act almost as an incentive for them to go home and put into practice what they learned during class. 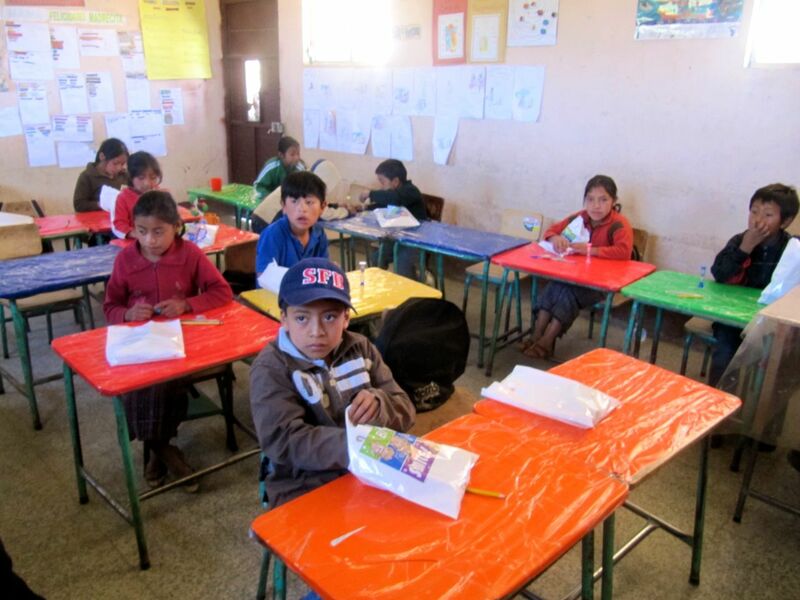 For instance, a shiny new tube of bubblegum-flavored toothpaste may not sound that exotic or thrilling, but it can be to many children in Chaquijyá since toothpaste is somewhat expensive and therefore hard to come by. So, when providing toothpaste or other special supplies, we hope that these new tools are also providing encouragement to continue the practice of healthy habits at home. Acquiring supplies for all of the students at both schools, not just for this year but future ones as well, will definitely be a challenge, but one we are ready to take on in order to make this program a success! At any rate, we are very enthusiastic about our growing health program and its potential. And, be sure to check back with us in a few weeks for an update on our first few talleres (lessons) in Cooperativa. Can’t wait to pull out the demonstration teeth tomorrow for another good scrubbing!